Somerville, Mass - This year for the holidays, Jerry painted a statue of Grandfather Frost to sit on our front porch. 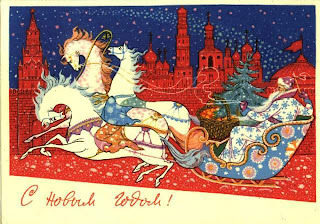 Grandfather Frost, or Ded Moroz, is the Russian Santa Claus. Instead of being fat and jolly and dressing in red, Ded Moroz is tall and stern and he wears a decorative blue robe. And instead of elves, he hangs out with his grand-daughter Snegurochka, or Snow Girl. He rides in a traditional troika, pulled by flying horses. And he shows up with gifts on New Year's Eve (as opposed to Orthodox Christmas, which takes place several days later on January 6). Apparently, Ded Moroz is a fairly recent tradition, developed in the 19th century after Moscow playwright Alexander Ostrovsky wrote the fairytale Snegurochka. In the early years of the Soviet Union, the regime tried to ban anything that hinted of folk traditions, religious practices or bourgeois pettiness. Ded Moroz was guilty of all three, and he was declared to be "an ally of the priest and the kulak" (the latter being the much-maligned wealthy peasant). Being a friend of holy and rich men does not sound so bad to you and me, but in the Soviet era, it amounted to being an enemy of the people. How's that for irony… You spend all that effort to deliver gifts to good children all over the world only to be branded an enemy of the people! This condemnation did not last too long, however. 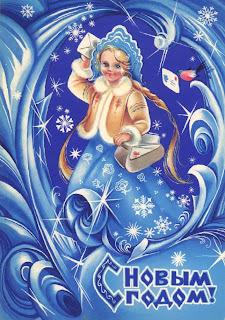 The regime soon learned that characters like Ded Moroz and Snegurochka could be used to promote its propagandistic messages of the glories of communism. 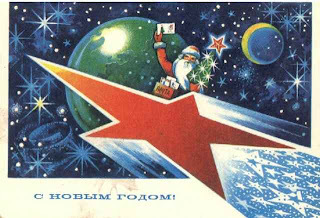 Ded Moroz might come flying in on a rocket ship, glorifying the accomplishments of the space program. 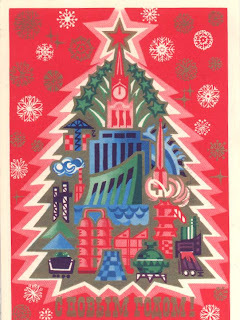 Pristine scenes of snow-covered countryside were replaced with smoke-stacked skylines, symbolic of the industrial production and economic progress under communism. 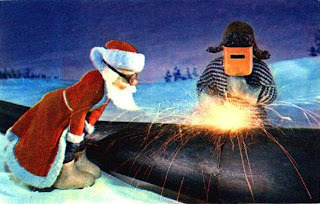 Grandfather Frost was not only a gift-bearing, bearded old man, but also a worker, a soldier, an activist… or perhaps an cosmonaut (how else would he be able to navigate his way around the world in a single night?). But he was certainly a man of the people. And like the Star of Bethlehem, the Red Star of Communism always shone in the sky, guiding the people to their bright future! 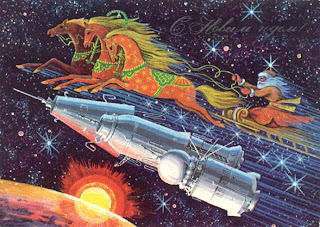 Click here for more cool Soviet postcards of Ded Moroz, Snegurochka and all their cosmonaut friends. Somerville, Mass - Jan and Antonina leapt at the chance to shape a new zoo and spend their lives among animals. In 1931, they married and moved across the river to Praga, a rough industrial district with its own street slang, on the wrong side of the tracks, but only fifteen minutes by trolley from downtown. 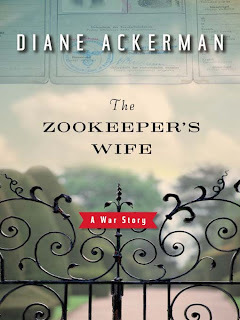 When I started reading The Zookeeper's Wife, by Diane Ackerman, I thought it was going to be about a woman's adventures with animals. Given, the subtitle is A War Story, but still, I thought that the book would be about the way the animals at the Warsaw Zoo survived WWII. I even suggested that Jerry should read the book, which combines history and animals, two of his passions. "No way," he said. "I know enough history to know that those animals are coming to a bad end." And of course he was right. Within the first 100 pages of The Zookeeper's Wife, the zoo animals are either shipped off to Germany for Nazi breeding programs or savagely slaughtered, victims of a private hunting party for Gestapo officers. Brutal. It's a rough beginning. But Ackerman's story is ultimately an uplifting one, as the empty animal cages and extra bedrooms are turned into safe havens for Jewish refugees. Jan and Antonina Zabinski - the zookeeper and his wife - become active in the Polish Underground, risking their own lives to shepherd hundreds of people to safety. This history is retold largely based on Antonina's journals, which explains the title. In 1940, the Nazis ordered all Jews to relocate to the Warsaw Ghetto - that's more than 400,000 people restricted to a tiny enclosed portion of the city. I had read about ghetto, but The Zookeeper's Wife provides incredible, intriguing descriptions of life in this neighborhood. Ackerman does not overlook the squalor and starvation and disease that the ghetto-residents endured. But she also informs us of the ways that they sustained themselves —organizing illicit schools, publications and cultural performances, all of which was illegal. Once the Nazis started evacuating the Jews from the ghetto to concentration camps in massive numbers, the Warsaw Zoo became an important way station for individuals trying to escape. The Zabinskis set up an elaborate code language, naming their guests after animals so they would not be recognized. They built a series of tunnels between their villa and the cages to allow for undetected movement around the grounds. Antonina was the caretaker of the household, and despite the immense danger of the situation, she always strived to maintain a cheerful and comfortable atmosphere for the guests around the villa. In all, some 300 people passed through the Warsaw Zoo on their way to safety. The Zabinskis' story - Ackerman argues - is just one example of thousands of such heroic feats. She writes of printers who provided false documents for escaping Jews, beauty salons where they could get "Aryan" makeovers, schools that would teach them Christian customs– all so they could pass as non-Jews in a Nazi world. Poles could be killed not only for aiding and abetting Jews, but also for their failure to inform on their neighbors. Ackerman estimates that "70-000–90,000 people in Warsaw and the suburbs, or about one-twelfth of the city's population, risked their lives to help neighbors escape. Besides the rescuers and Underground helpers, there were maids, postmen, milkmen and many others who didn't inquire about extra faces or extra mouths to feed." When the Nazis began the final phase of their plan to exterminate the Jewish residents, the Underground rose up in armed resistance. They put up a heroic battle which lasted more than two months, but to no avail… After the uprising some 7000 Jews were shot, while tens of thousands were shipped to concentration camps at Treblinka or Majdanek. "Then, one terrible day, a gray rainfall settled on the zoo, a long, slow rain of ash carried on a westerly wind from the burning Jewish Quarter across the river. " The ghetto was destroyed, block by block, building by building, along with any remaining residents. When we were in Warsaw in 2000, we paid our respects at this moving monument which remembers the residents who lived and died in the ghetto. Now there is also an Uprising Museum, which opened in more recent years. But not surprisingly, nothing really remains of the Warsaw Ghetto. The camp at Treblinka was also destroyed by the retreating Nazis, but I visited the camp in southeastern Poland, Majdanek, which had seen the extermination of some 235,000 people. After reading The Zookeeper's Wife, I am disappointed that I didn't visit the Warsaw Zoo when I was there. At the time I was not aware that it was such a historic place! Just out of curiosity, I looked it up in my guidebook, which describes Praga very much like Ackerman did: "a large working-class district… just across the Vistula from the Old Town." For some reason, it warmed my heart to see that the zoo is listed amongst Warsaw's sights:"Just beyond the Slasko-Dabrowski Bridge are the Zoological Gardens. Established in 1928, the zoo has some 3000 animals representing 280 species from around the world." Antonina Zabinski always acted as the matriarch of the zoo, taking great pains to ensure the comfort of her guests, no matter what species they were. I imagine that her protective spirit continues to inhabit this place, still a peaceful haven for the creatures that she loved so dearly. Somerville, Mass - Keeping with the theme of the moment, we went to see Tom Stoppard's play, Rock `n' Roll, at the Huntington Theatre. 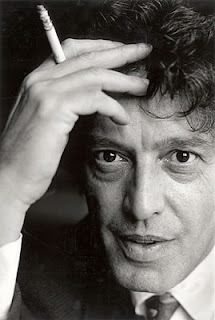 Tom Stoppard is another Czech émigré writer who fled Czechoslovakia, but he left as a small child, on the day of the Nazi invasion in 1939. Stoppard actually lived most of his life in England, but he was active in human rights issues in Central and Eastern Europe throughout the 1970s and 1980s. 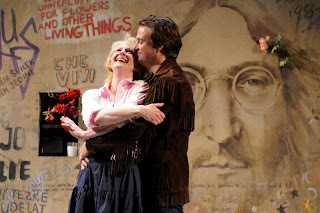 He uses both of his homelands for the setting of Rock `n' Roll, which follows the lives of a dissident living in Prague and a Marxist philosopher living in Cambridge. The Czech protagonist, Jan, does not start out as a dissident. In fact, he is a Marxist scholar himself, and he believes in `socialism with a human face'. But even more than that, he believes in rock `n' roll. For Jan, music is the truest expression of opinion, emotion and individuality. Referring to his favorite band, the Plastic People of the Universe, he says: "They're unbribable. They're coming from somewhere else, where the Muses come from. They're not heretics, they're pagans." So when rock `n' roll becomes antisocial and essentially illegal in Czechoslovakia in the 1970s, Jan unwillingly becomes a dissident. He joins his musician friends in jail. They are not trying to make a political statement, but they are trying to make a creative statement. Sadly, under the communist regimes there was no room for creativity without politics. 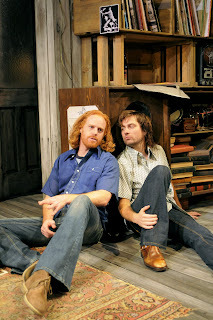 In Stoppard's play, Jan is contrasted with his earnest and active friend, Ferdinand, who is always trying to get Jan to sign petitions and attend rallies to influence the communist regime. 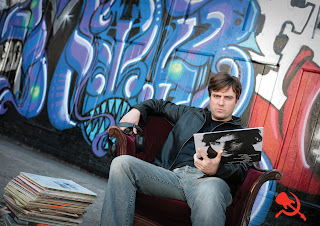 Jan resists such involvement: he doesn't want any trouble; he just wants to be left alone to listen to rock `n' roll. For him, the music is the message. As stated by the founder of the Plastics, "Rock `n' roll wasn't just music to us, it was kind of life itself." Ferdinand doubts the legitimacy of the Plastic People of the Universe and their message, questioning what these long-haired rockers could possibly contribute to his dissident movement. Ferdinand works alongside Vaclav Havel, who is a part of the "official" opposition - political activists working within the system to try to reform it. The musicians by contrast disdain anything that is "official" - even if it is the opposition. In the end, Stoppard seems to come to the conclusion that both sides of the movement are essential to stand up to the system. The official opposition did much of the work - circulating petitions, making speeches and advocating for change. But the musicians were uncompromising, genuine and passionate in their efforts to express themselves. That's all. They were the reminder that "life itself" was at stake in this battle. We all know how Rock `n' Roll ends. The Berlin Wall is torn down. The Marxist philosopher becomes disillusioned. The dissidents become respectable members of society, taking jobs in the new democratic government. The Stones play in Prague. It's a happy ending, to be sure, but there is a hint of wistfulness from Stoppard, especially when Jan's character announces that the Plastic People of the Universe are going to America. The Plastics endured communism without compromising; will they endure capitalism with as much courage? Somerville, Mass - One of the tools that the dictatorial regimes of Eastern Europe used to encourage "loyalty" was to deny the right to work to intellectuals and artists who were suspected of having uncommunist sympathies. Without a means of earning a living, the targeted individuals had a choice: they could renounce their offending works, sign a pledge of loyalty to the regime and denounce other outlyers. Or, they could give up their right to work in their area of expertise, taking a job as a window washer (as the main character in The Unbearable Lightness of Being, which I wrote about in a previous post) or a baker (as in Tom Stoppard's Rock & Roll, which I will write about in my next post). In some cases, these individuals could not work at all, and were forced to depend on the generosity of friends of family to support them. In the Soviet Union, artists and writers were required to create communist-utopian-themed socialist realist works. Otherwise, their license to paint, or write, or whatever, would be revoked, and the artist would officially become a "social parasite". This tool was also effectively used by the Nazis in their occupation of Czechoslovakia, Poland and other countries. And - sometimes we forget - it was also used by the United States during the Cold War. The documentary film Trumbo was a jolting reminder that my country's history is not so different from totalitarian regimes I am writing about. 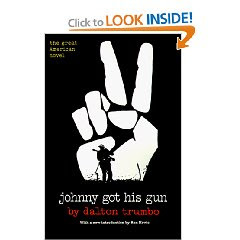 Trumbo was one of the "Hollywood Ten" who refused to provide any information about their own or others' political involvement. He invoked the First Amendment to defend his right to express his point of view in his books and films. He was blacklisted and eventually jailed. 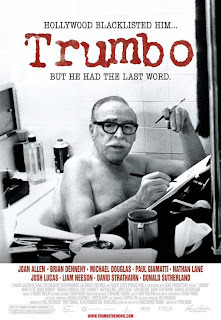 Trumbo's story is ultimately one of triumph, as he continued to write under assumed names. 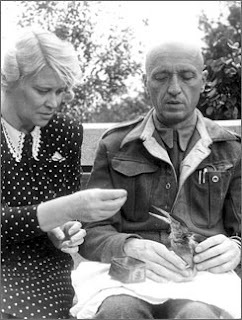 In 1956, the Oscar for Best Story was awarded to Robert Rich for The Brave One, but it was never claimed, as Robert Rich was Trumbo's pseudonym. In 1960, he received credit for Exodus and Spartacus, with assistance and support from other Hollywood notables. It was the beginning of the end of the blacklist. 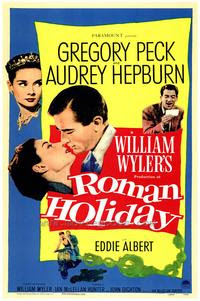 The final piece of the puzzle fell into place in 1993, when Trumbo was posthumously awarded the Oscar for Roman Holiday (1953). The original award - 40 years earlier - had been given to Ian McLellan Hunter, who had not written the screenplay, but rather provided a front for Dalton Trumbo. So Trumbo finally received his due.. Meanwhile, all across Eastern Europe and the former Soviet Union, thousands of artists, intellectuals, writers and filmakers were opening their studios, uncovering works and unleashing long-dormant creativity.